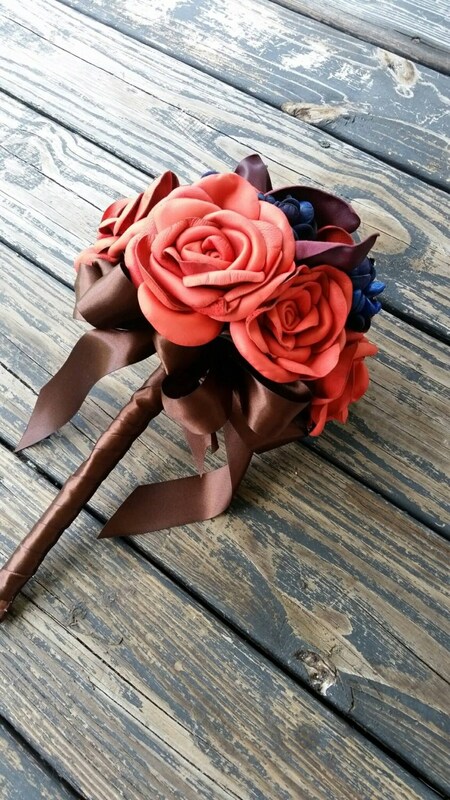 Leather has a timeless quality which makes it perfect for bridal bouquets. Soft, supple, buttery leather can be shaped into beautiful works of arts. Each flower in handmade. I selected the leather, choosing the best properties for each flower. Each individual petal was hand shaped and hand molded so no two flowers are alike. I used several different methods to achieve the over all look which makes this bouquet a truly unique and beautiful bouquet. 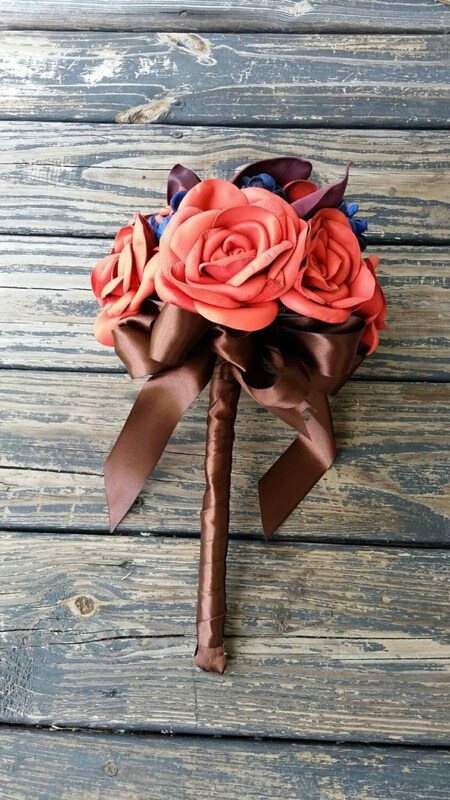 Measuring approximately 12 inches by 12 inches, this bouquet is created using leather, artificial stems, satin, and lace. Leather can be dyed a rainbow of colors. If you like the overall look but want a different color please send me a convo. 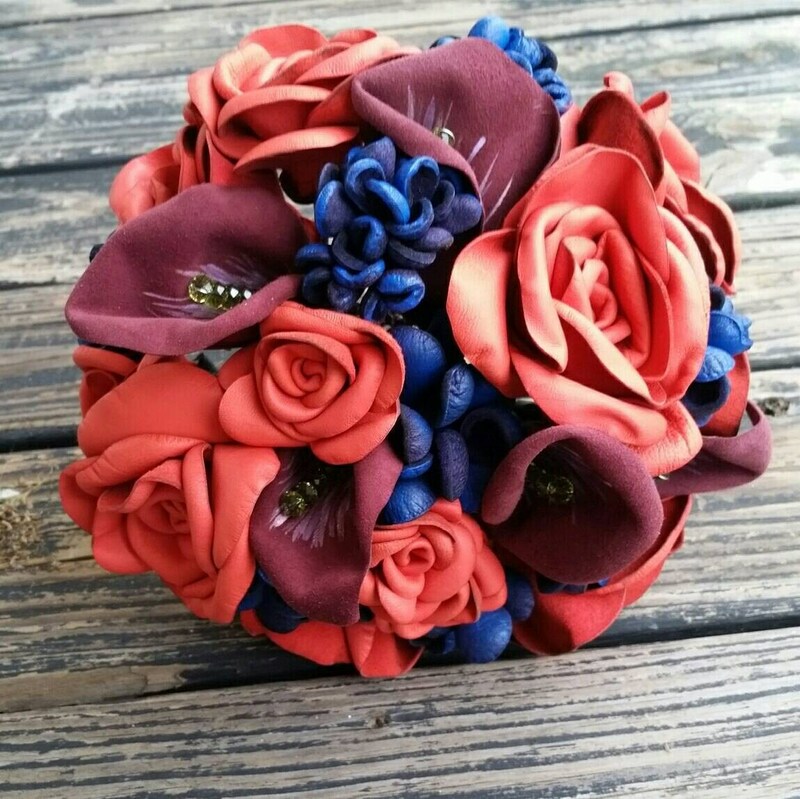 Together we can make the perfect bridal bouquet! This bouquet was created as a third anniversary gift. 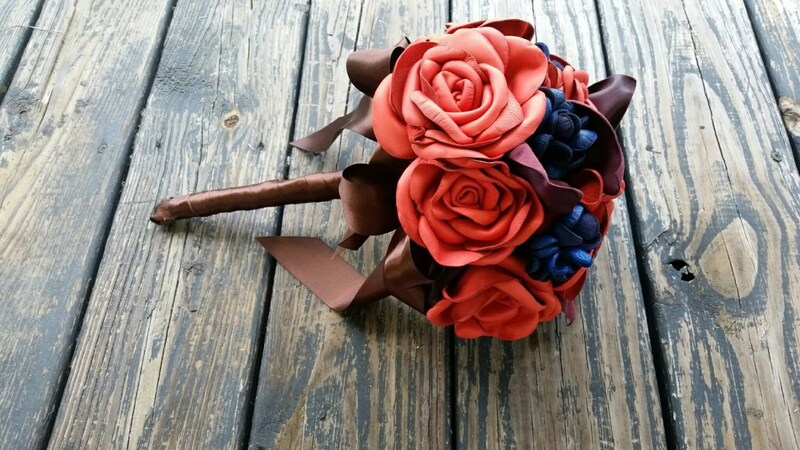 It was a leather re-creation or copy of a bouquet carried by a bride. 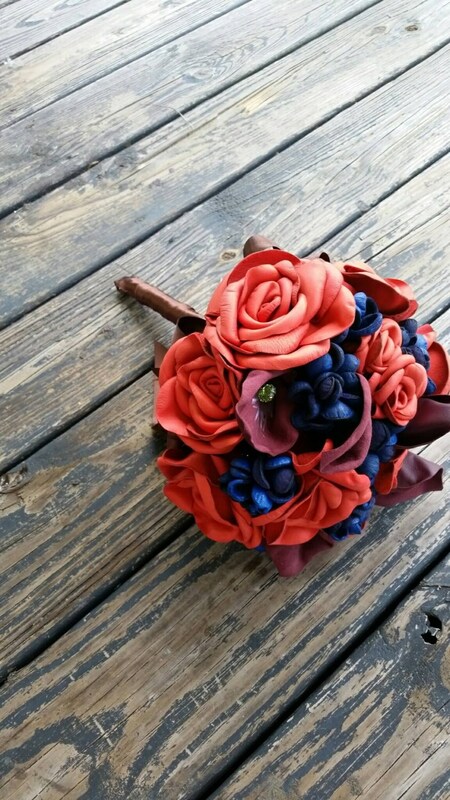 If you would like your wife's bouquet recreated for your third anniversary send me a convo. Include photos of the bouquet along with a list of the flowers used (if you know).